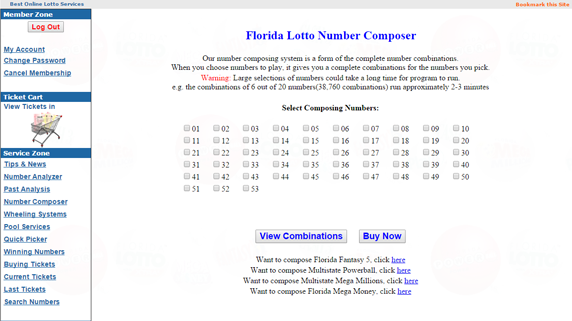 Our Lotto Number Composer is a free tool to compose the numbers you have picked, and gives you a complete set of all possible combinations. It eliminates the confusion and leave-outs of scratching all combinations on paper. It also saves you a lot of your precious time. You can also buy these full combinations by simply clicking Buy Now button.